Scientific visualization involves the visualization of complex scientific simulations and large-scale datasets on a high-resolution display screen. 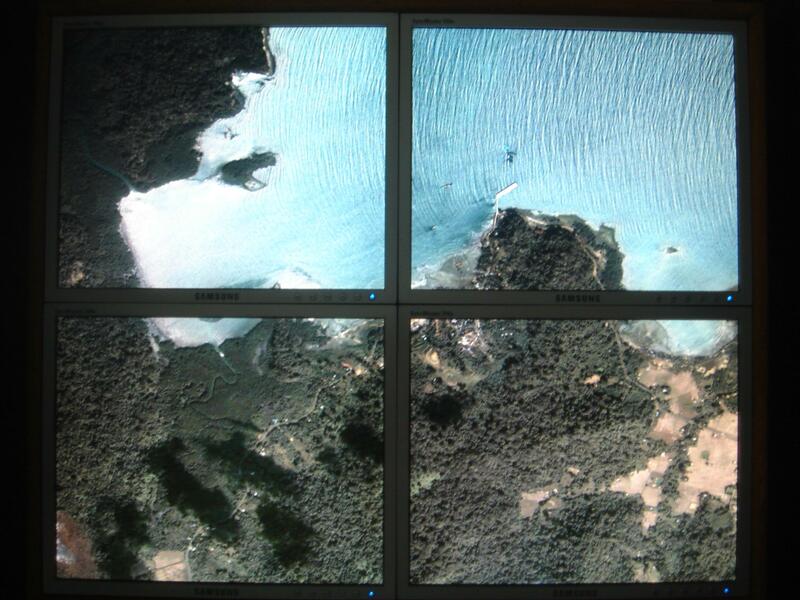 The tiled display image viewer we have developed is used for displaying high resolution images on a tiled display wall. This increases the effective display area of the image on the screen by retaining the details and minimizing the loss of context of the image. The tiled display wall is connected to a 5 node cluster and the underlying parallel rendering architecture is hidden from the wall display. The multiple processors improve the time required to render and display the high-resolution image and to perform various operations on the image such as zooming, panning and rotation which would take a significant amount of time when performed on a single computer. 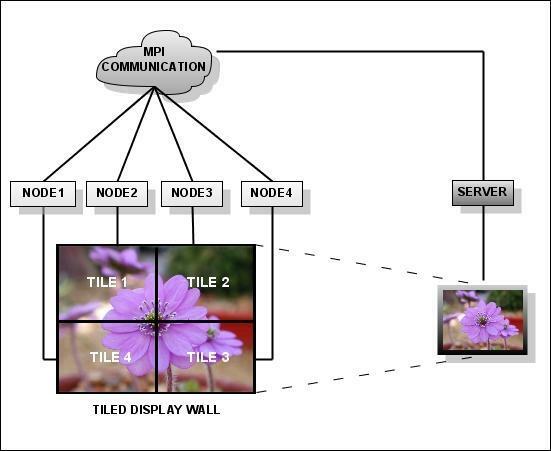 In the tiled wall display image viewer, a cluster of five nodes is used for the underlying architecture. The four nodes are connected to the four tiles of the tiled display wall as shown in Fig x.x. The server calculates the image divisions to be made based on the ranks of the nodes. The server synchronizes the actions on the client nodes by using various MPI primitives to ensure that the image is displayed at the same instant on all the tiles. The architecture for the image viewer is scalable and the tiled display wall can be scaled to nXm tiles to increase the effective display area. 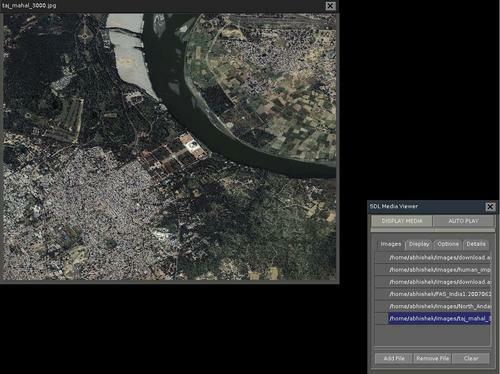 One constraint in the scalability of architecture of the cluster-based image viewer is that the number of tiles has to be equal to the number of processing nodes. 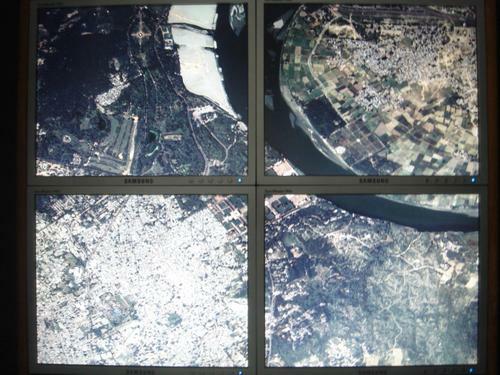 Here are some of the screenshots of the cluster-based tiled display wall setup at FrCRIT. The maximum resolution of image that can be displayed on the wall is the sum of the maximum resolution video mode available on each tile of the tiled display wall. 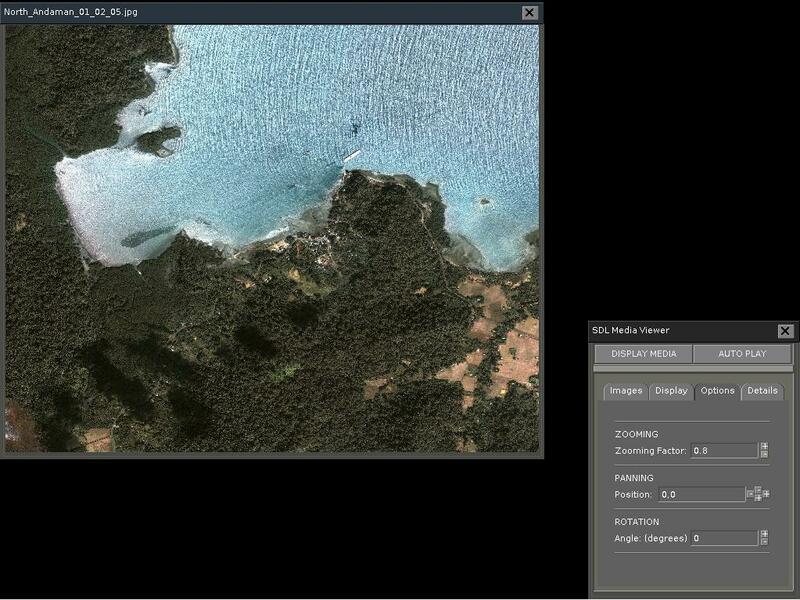 GUI interface for the zooming, panning operations. Zooming, panning being done on the image on the tiled display.